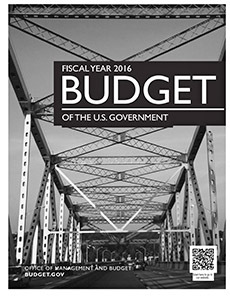 The President's Budget Request (PBR) dropped last Monday, 2 February, proposing some $4 trillion in total spending and a 7% increase to discretionary programs within that (if you aren't sure what this is and how it got here, I encourage you to go back and read an earlier post from around last year's request). The proposal is the opening salvo in the public portion of the federal budget debates. The overall proposal covers the whole federal government, both mandatory and discretionary spending programs, along with proposed changes to federal revenues through tax and fee policies. We'll maintain focus in this post on the largest of the federal programs relevant to the astronomical sciences, but for a great overview of the research & development (R&D) investments overall check out the AAAS R&D Budget and Policy Program coverage. For a good overall look at space programs (including Earth science and defense-related programs), I recommend SpacePolicyOnline.com (as usual). Each year, the AAS policy staff, in consultation with the AAS Committee on Astronomy and Public Policy (CAPP) and the AAS Divisions, formulate a Council resolution in response to the PBR. This resolution, which will be approved and released in the coming weeks, presents the Society's perspective on and response to the budget request (see, e.g., last year's). The purpose of this post, by contrast, is to present "just the facts" about what is in the request for the astronomical sciences. I urge you not to just take my word for it, but go find the primary information (NASA, NSF, DOE). As you read through the details below, it's important to keep in mind the overall context. This budget requests a 7% increase ($71 billion) to discretionary spending (paid for by changes in tax revenue, primarily), which technically violates existing law. Since 2011, the Budget Control Act has limited the total amount of discretionary spending allowed each year through FY 2021. In FY 2013, the discretionary caps were lowered by about a further $91 billion per year when Congress failed to find a compromise on taxes and mandatory spending — this reduction is what's known as the sequester. Though we had brief, partial reprieve from these cuts in FY 2014 and 2015, in FY 2016, the sequester is back in full force; the discretionary caps are almost exactly flat from FY 2015 to 2016, meaning spending power will be lost to inflation. Most pundits agree that it is highly unlikely that the Congress will enact higher total spending ("bust the caps"), meaning increases in the request face a strong headwind of more constrained overall funding than the request assumes. The table below compares the FY 2014 actual, FY 2015 estimated1, and FY 2016 requested budget levels for the largest federal programs that fund the astronomical sciences; values in the table are in millions of US dollars. Below the table, we will go through high- and low-lights for each agency, in turn. **This funding is for SMD-wide activities; the budget line name is changed in FY 2016 to "SMD STEM Activities" under "Astrophysics: Astrophysics Research: Other Missions and Data Analysis." 1Based on report language accompanying FY 2015 CROmnibus. All other numbers based on FY 2016 President's Budget Request documentation. Overall, the request proposes a NASA top line that is 2.9% above the FY 2015 enacted level from the CROmnibus (I will use "estimated" and "enacted" somewhat interchangeably as we go along) — a half-billion dollar increase. However, within that increase, only $44 million would go to SMD (0.8% above FY 2015), and within SMD, all of the astronomical sciences divisions (Planetary Science, Astrophysics, JWST, and Heliophysics) would actually be flat or below FY 2015 enacted. This year's request proposes about $76.5 million less than FY 2015 enacted (-5.3%). Much of that is the difference between the $100 million Congress enacted for pre-formulation of a Europa mission vs. $30 million in this year's request. However, on the positive side for that particular mission, the budget request moves a Europa flyby mission into the formulation phase (the official mission start). Based on past years' dynamics, we expect that the final appropriation will be at or above last year's levels. Planetary research and analysis (R&A) continues to be strained, staying roughly flat with the level recommended in last year's enacted appropriations.2 In the Mars program, the request proposes to end Opportunity rover operations in FY 2016, potentially end Odyssey in FY 2017, and reduces the Curiosity rover operations budget by $11.6 million after having passed through the senior review. The Discovery program plans to down-select for the next mission(s) in FY 2016 and release the next announcement of opportunity (AO) in FY 2017, potentially putting these missions on a 2.5-year cadence going forward. Within the New Frontiers program, the budget supports continued development for OSIRIS-REx toward a 2016 launch and a potential next AO by the end of the fiscal year. The request proposes about $11 million less than enacted in FY 2015 (-1.7%). Several of the division's missions in formulation have experienced some volatility in their costs in recent years. Thankfully, savings from the Solar Orbiter Collaboration (SOC) mission can largely offset cost increases in the Solar Probe Plus (SPP) and Magnetospheric Multi-Scale (MMS) missions in both the estimates for FY 2015 and the request for 2016. While the budget supports the continued development and operation of the existing Explorer missions, there is no money for future missions in this line until FY 2018, leaving about a 6-year gap between mission AOs. The division's R&A budget was slated for an increase in FY 2015, but would return to FY 2014 enacted levels under this proposal. Augmenting R&A in targeted areas (in addition to completing the current program) is part of the solar and space physics decadal survey top priority, the DRIVE initiative. The request proposes a top line about $17.7 million below the FY 2015 enacted level (-2.4%). However, this is a bit misleading since SMD-wide education and public outreach (EPO) activities are bookkept in the APD budget and would drop by $22 million under the 2016 request. Taking this into account, there is actually about a $4.3 million (0.6%) increase in the budget for APD activities in the request. The request fully supports SOFIA operations, returning the yearly budget to its baseline amount of $85.2 million (whereas Congress recommended $70 million in FY 2015 after saving it from proposed cancelation). However, the request also indicates that "SOFIA will be participating in its first Astrophysics Senior Review of Operating Missions in spring 2016" — prior to the end of its previously set prime mission. In a similar dynamic to that with PSD's Europa mission, the request provides $36 million less than last year's appropriation for the WFIRST mission — the 2010 astronomy & astrophysics decadal survey's top priority large space mission — but most observers expect the final appropriated amount for FY 2016 to end up close to or above last year's appropriation. Like last year's request, however, WFIRST funding grows beyond FY 2016 as JWST development costs ramp down. One particularly bright spot is an approximately 10% increase for astrophysics R&A in the request. JWST remains on its cost baseline at $620 million in the request, having passed peak funding in FY 2015. The request for EPO activities — renamed "SMD STEM Activities" in this request — in FY 2016 ($20 million) is less than half of the FY 2015 enacted amount ($42 million). SMD is in the process of re-competing funding for these activities through a Cooperative Agreement Notice (CAN) released just after the budget request. The request includes a 5.2% increase over FY 2015 enacted for NSF ($379M), with $253 million more going to its Research & Related Activities account within that (4.3% over FY 2015). However, within that relatively large increase (though smaller than the 7% growth for total discretionary spending), the Mathematical and Physical Sciences (MPS) directorate would receive only a 2.2% increase ($30 million) over FY 2015. This largely stems from the fact that much of the increased funding to NSF would go to White House initiatives (e.g., advanced manufacturing) in which MPS does not play a large role. The Geosciences (GEO) directorate, by contrast, would receive a 4.7% increase over FY 2015 under the proposal ($61 million), slightly more than the overall research increase (the Atmospheric and Geospace Sciences (AGS) division in GEO funds some of the NSF's heliophysics research). With its parent directorate only receiving an added 2.2% over last year, the AST division would fare slightly worse still, with a 1% increase ($2.4 million) over FY 2015. The one bright spot in the division budget is growth in the Mid-Scale Innovations Program (MSIP), which fits more in line with the initiative-focused increases of the request for NSF overall. However, with new operations costs growing for the next-generation solar telescope (DKIST) as well, the flat top line has left the astronomy and astrophysics individual investigator grants (AAG) program to take a hit of $2.7 million (-6.6%) relative to FY 2015. The AGS division would see an increase similar to that of its parent directorate, GEO, with the division top line proposed to increase by 4.7% ($11.7 million), including an 8% bump for research within the division. The budget request does not detail the fraction of this budget that goes to funding solar and space physics specifically. As has been the case for several years, a large fraction of the MREFC budget is going toward construction of exciting new facilities for ground-based astronomical sciences. This year about $120 million of the $200 million total requested for the year would go to keeping LSST and DKIST on track in their construction. Under the request, the DOE Office of Science would see a 5.4% increase to its suite of programs, compared to the FY 2015 enacted levels ($272 million). Within that, the High Energy Physics (HEP) program would not see that full increase, rising 2.9% compared to FY 2015 in the request ($22 million). Within the Cosmic Frontier program, this request would provide an additional $12 million compared to FY 2015 enacted. Most of that increase would go to keeping the LSST Camera construction on track and begin new projects in dark matter and dark energy research, including the Dark Energy Spectroscopic Instrument (DESI) that began working towards installment on the Mayall 4-m at Kitt Peak (aiding NSF-AST in divestment). 1It's worth noting that the FY 2015 estimated levels, which come from legislation that Congress passed in December (recall the CROmnibus) was passed well into the formulation of this budget request, so inferring intent based on comparisons of the FY 2016 request to the FY 2015 estimates is not necessarily sound. Instead, it's better to think of the comparison as a demonstration of the differences in priorities between the White House and Congress. 2Many of the budget numbers enacted in FY 2015 below the agency top lines come from the reports that accompany appropriations bills. While these don't have the force of law, agencies generally do not stray significantly from the recommended levels in these documents, respecting Congress's power of the purse.